Here is waht the distiller had to say about their whisky. Our Hazelburn Sherry Wood, always bottled at cask strength, is released annually in small quantities after being matured in varying types of sherry cask. 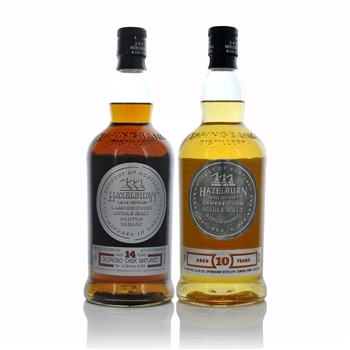 The 2019 release is 14 years old, matured in Oloroso Sherry casks and bottled at 47.1%. Chocolate orange, creamy coffee liqueur, buttered popcorn, cocoa beans and mocha coffee with a delicate finish of sweet orange marmalade.